Esteban is the National Operations Director. Prior to this role, he directed the Florida operation of Mi Familia Vota as state director, managing strategy, operations, local policy development, campaigns, civic engagement, organizing efforts and nonpartisan electoral work. Esteban’s career was set in motion at an early age as a victim of landlord abuse. Continued exposure to immigration, education and racial injustices spurred his interest in social justice. He began his career in social justice organizing then electoral organizing. He joined Mi Familia Vota in 2015 to continue working to create positive change. 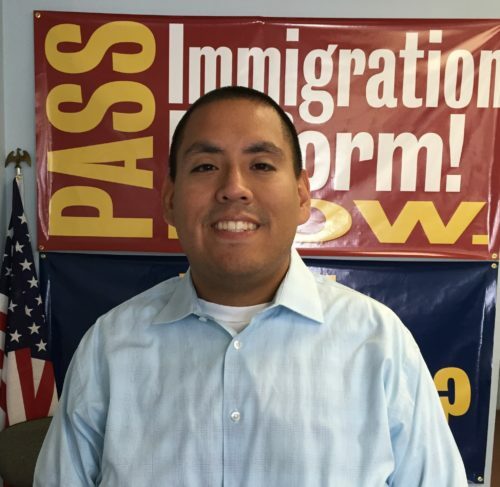 He was previously the Immigration Campaign Director for SEIU Local 615.